Hard-hitting law enforcement and self-defense rounds! Brass cases, nickel-plated for reliable feed and extraction. 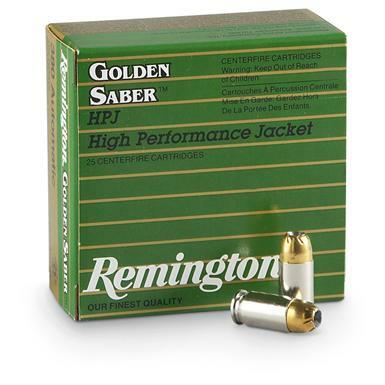 Remington Golden Saber, .380 ACP, BJHP, 102 Grain, 100 Rounds is rated 4.8 out of 5 by 24. Rated 3 out of 5 by geezer1 from Good ammo/poor packaging Ammo is what I expected but Remington has gone cheap on packaging. Interior shell matrix container was busted in several places so shells roll everywhere when the package is opened. Not up to par for custom ammo. Rated 5 out of 5 by David from Excellent ammo, OK price Remington Brass Jacket Hollow Point ammunition has excellent characteristics and balance between expansion and penetration. 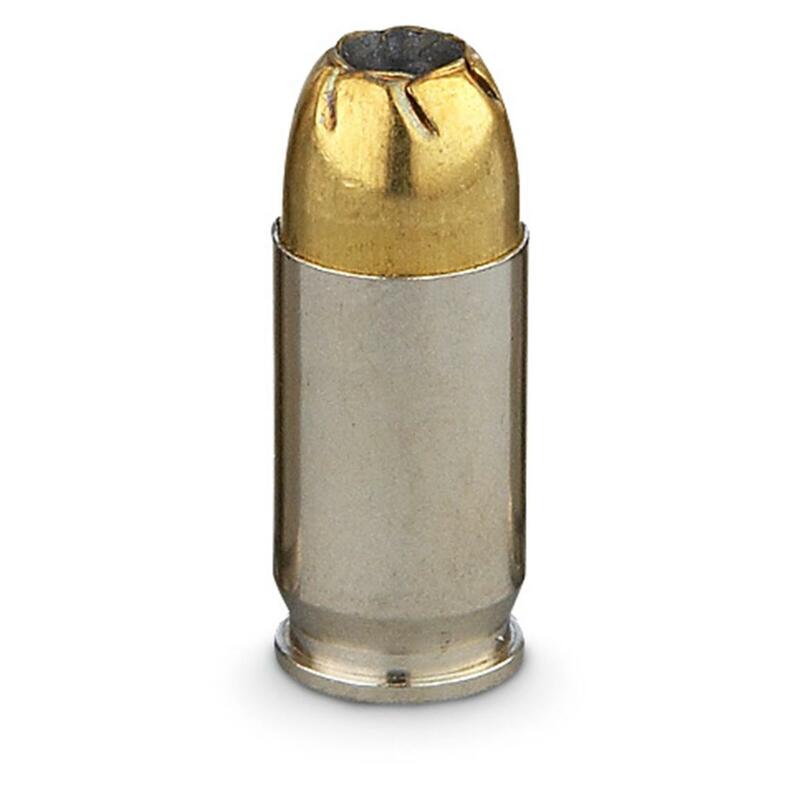 This is important in a self-defense round in a minimum caliber such as .380 Auto, which is essentially equivalent to, or just shy of, a .38 Special. The 102 grain weight keeps the velocity under 1,000 feet per second in longer .380 barrels and maximizes the power in a short barrel.I thought enough of this ammo to give a box to a good friend who also carries a .380. Rated 5 out of 5 by Jimthedogchaser from Excellent product These are excellent rounds, at a great price. Rated 5 out of 5 by Indian Up from Super deal ! Great ammo at a super great price!